Italian physician of the fourteenth and fifteenth centuries; lived at Pisa and Perugia. He devoted much time to the study of the Arabic writers on medicine, especially Ibn Sina. His "Eben Pinnah" (Paris MSS. No. 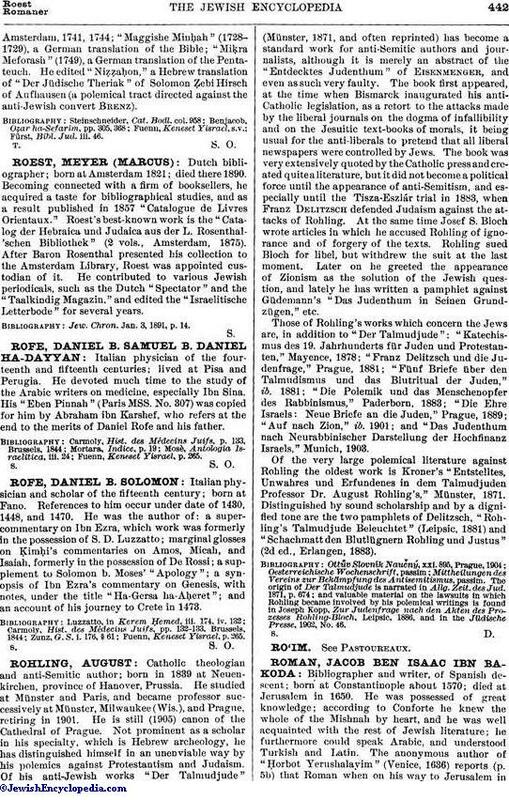 307) was copied for him by Abraham ibn Karshef, who refers at the end to the merits of Daniel Rofe and his father. Fuenn, Keneset Yisrael, p. 265.